Just a few stitches to create an atmosphere of other times. 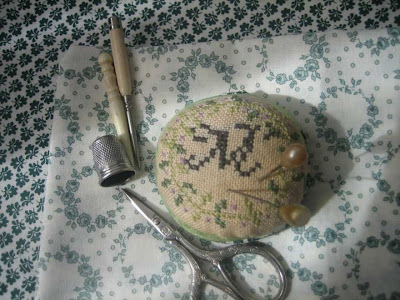 I have stitched this "Monogram Pincushion" on white linen coffee dyed after stitched. 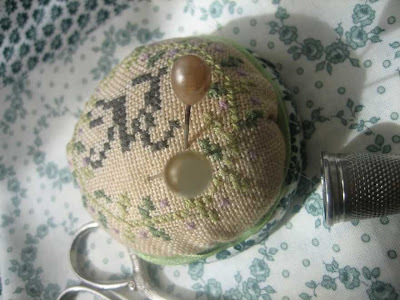 Lovely pin cushion. The dye idea looks great. You have definitly created the atmosphere you wanted. i love the way you finished it! beautiful.